“Christian” was also written on the wall. A mark most probably put there by ISIS fighters who occupied the house for more than three years. 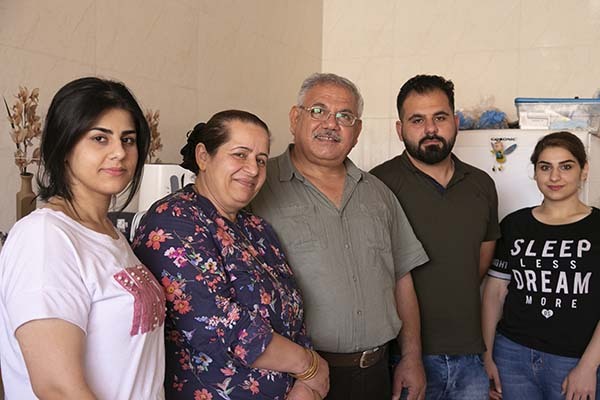 The Shabo’s house was so badly damaged they considered returning to Dohuk, where they lived when they were displaced. But they decided to stay and try to fix it. Still, because of the extent of the damage, it was difficult for them to complete the repairs. With funding from USAID’s Office of Foreign Disaster Assistance, Catholic Relief Services provided a cash grant so the Shabos could plaster the charred walls, install new sinks and faucets that were damaged or missing, and fix the electricity. The Shabo family is pleased with the progress so far, but it’s hard to feel settled. They are worried ISIS might come back.